The logo of the website, that represent an ionic capital, is extracted by the book “ Gli ordini di architetture” by renaissance architect and architecture theorist Jacopo Barozzi da Vignola. 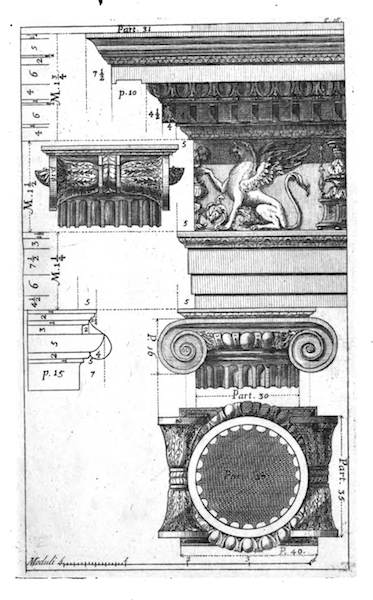 Ionic, along with Doric and Corinthian is one of the three order of architecture of the classical age. Renaissance architects add two further orders: Tuscan and Composite. The full book is available in google books. The font used is Garamond that originate from renaissance also.